R.D. Cochrane has published short stories and two novels: Coventry Christmas and Coventry Wedding. Together they have co-published several novels including The Deal, It Had To Be You, When You Don't See Me, I'm Your Man, and Someone Like You. Both live in Houston, TX. 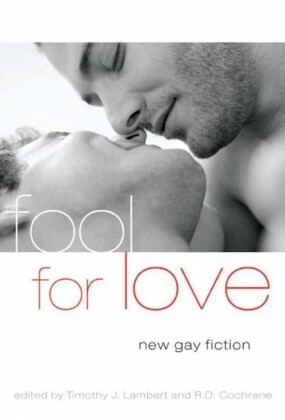 "The Best Gay Romance 2014 is an anthology edited by Timothy J. Lambert and R.D. Cochrane that includes 15 stories of m/m relationships that range from the sweet evocation of a new romance amidst the craziness of Hollywood ("Strange Propositions" by Eric Gober) to the carnal pleasures of unexpected lovers initiating someone to all kinds of new experiences in the world of make-believe (“The Invincible Theatre” by Felice Picano). Some were angsty, and others, thought-provoking and emotional, especially “Spill Your Troubles On Me, Love” by Georgina Li, which paints a starkly contrasting portrait of a bond between two people in very harsh circumstances. My favorites are the poignant and wonderfully romantic “Sight” by by Jordan Taylor that follows the development of a relationship that not only has to weather the challenges of coming out but also the obstacle of coping with an unexpected disability and “Shep: A Dog” that blends a whimsical bit of paranormal with the genesis of a sweet new romance. Some of the stories seem to end a bit too soon but there is definitely a nice mixture of styles and this is a great introduction to the works of many talented authors." "Lustful tales of cruising, catching, and consummating love." "If you're looking for sweet, hot, first meetings, chance meetings, romance and love that has lasted, then this book holds all you need."